Well I first want to say I have a computer desk that is about 7 years old but it is no longer working for me so I am going to be building my own desk. 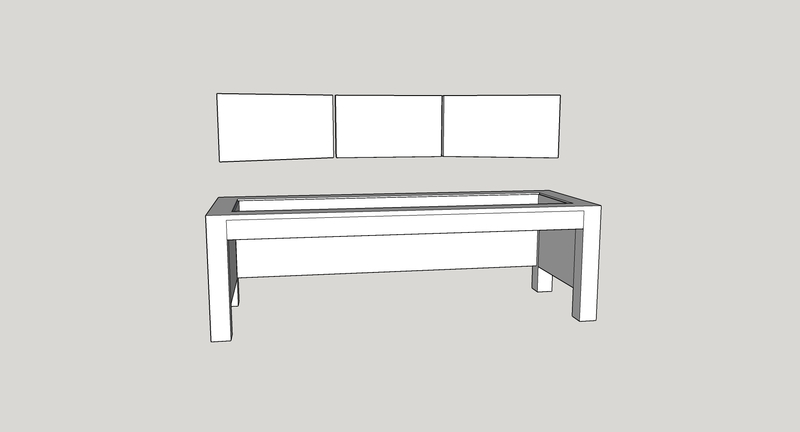 I am going to make a very nice Wooden desk that will hold up 3 28 inch Monitors along with not needing to have a computer case any more. 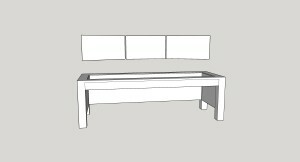 The first phase of my computer Desk is just in the planning Phase of the build. First draft of the desk I was making looks little overkill but I am still working on it and trying to get things managed properly. Well as my site shows I have been pretty busy with the lack of postings that have been on it. Also you can see I am into many different things to do with technology. One thing that I have been wanting to do for some time now is have a proper network Firewall/Router to block my home computers from the outside world. My current little router D-Link DIR-857 this guy is a champ but the memory keeps getting filled up because so many devices and or people connecting to my network have caused me to have to reboot it daily just to flush the memory and have no network speed loss. Which brings me to the new router the custom built Mini-ITX i5 CPU based system. Sure some of you are I am sure thinking wait that is overkill for just a router! While I agree with you this is but I am not just using it as a router. I’m also using it to run ESXi and host some game servers that me and friend play quite often. Here is a list of everything that is in the build for the router.